Volusia Veterinary Services operates with a mission to provide residents in Volusia County with exceptional, caring medical services for their animals (both large and small). From cats and dogs to horses, pigs, goats, and cows - Dr. Matt L. Schairer is qualified to handle a range of veterinary services which include anything from complicated surgeries to routine wellness visits. 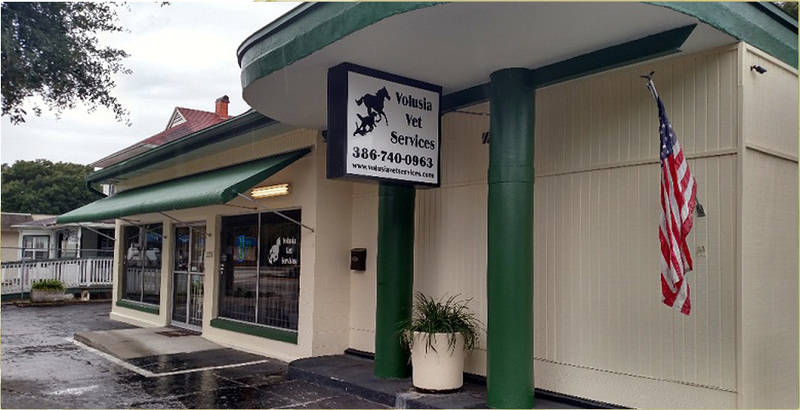 Before opening his veterinary clinic in Downtown DeLand, FL, Dr. Matt lived in New York and obtained a Bachelor of Animal Science from Cornell University prior to completing his Masters in Animal Science from the University of Florida. After finishing his Doctorate in Veterinary Medicine, Dr. Matt set his sights on providing exceptional veterinary care to a variety of species. Today, Dr. Matt operates his own veterinary clinic and mobile vet service in DeLand, FL with the help of his business partner and wife, Ashley, and his very dedicated, talented team of veterinary technicians. With a love of pets and animals of all shapes and sizes, the Volusia Vet Services team employs their high-level of expertise in veterinary care to provide the best possible treatment to all kinds of animals in Volusia County and beyond. Services extend from DeLand, Deleon Springs, Orange City, Deltona and DeBary to New Smyrna Beach, Ormond Beach and all other surrounding Volusia County communities. Call our office for appointment availability and pricing.